This bunny backpack hopped into my cart while I was scoping out the Easter goodies in Target’s Dollar Spot. It’s so cute and the quality is amazing. 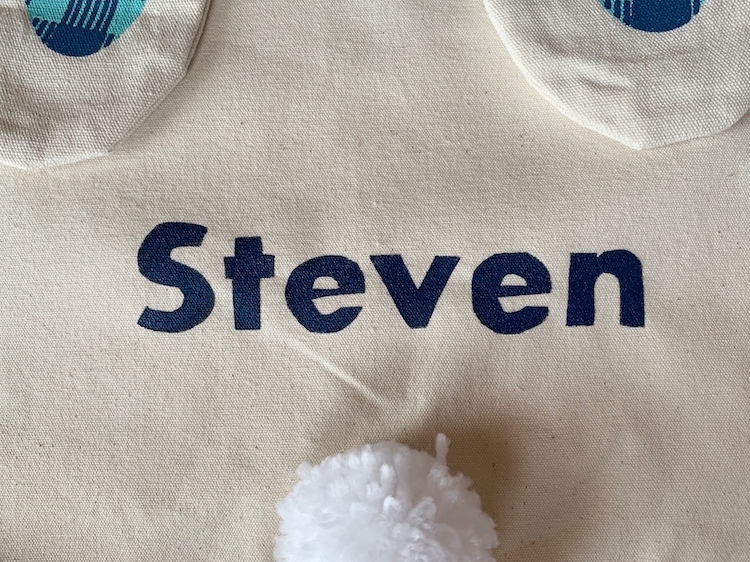 The thick canvas is the perfect blank slate for personalizing with a name. 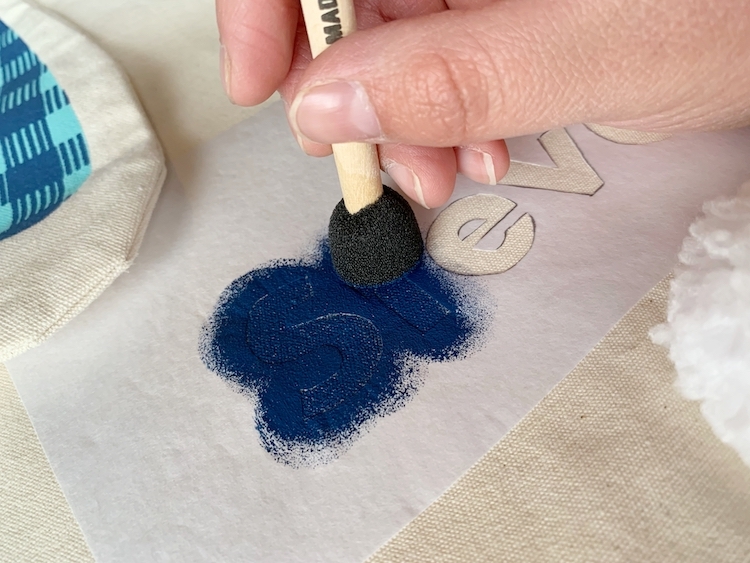 If you’ve never tried using freezer paper for stenciling, now is a great time to learn. Let me show you how! 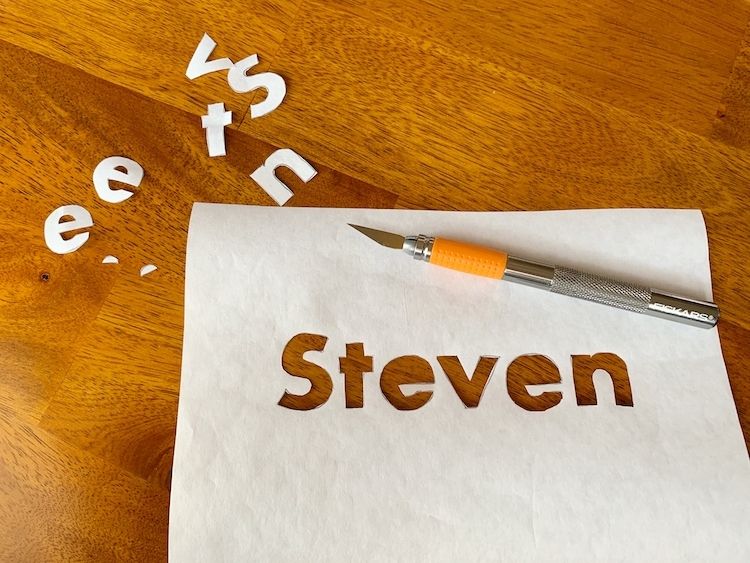 Print out the name you want to stencil onto a regular sheet of copy paper. You’ll want to use a thick font and size it accordingly. 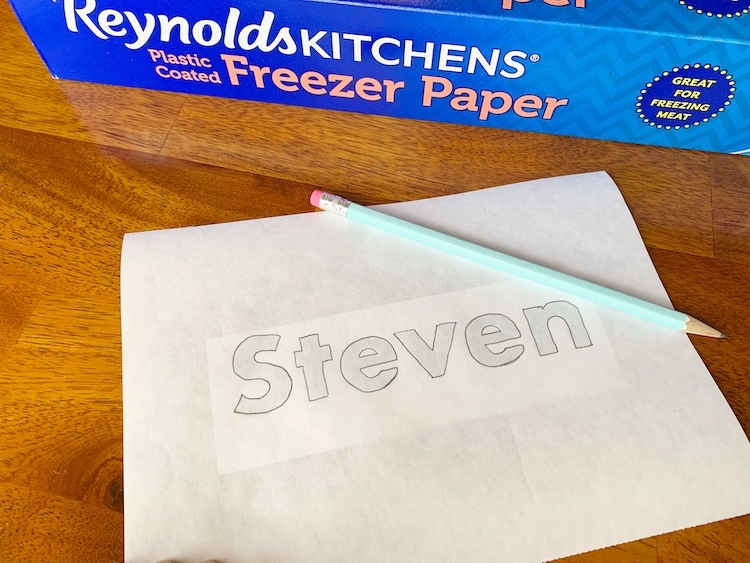 Cut a piece of freezer paper and place it shiny side down over the printed name. Trace over the name with a pencil. Use a craft knife to cut out the letters. Be careful not to lose any of the small pieces like in the letter “e”. Iron the shiny side of the freezer paper to the canvas bag. Take the small foam dauber and dip it in a bit of the paint. 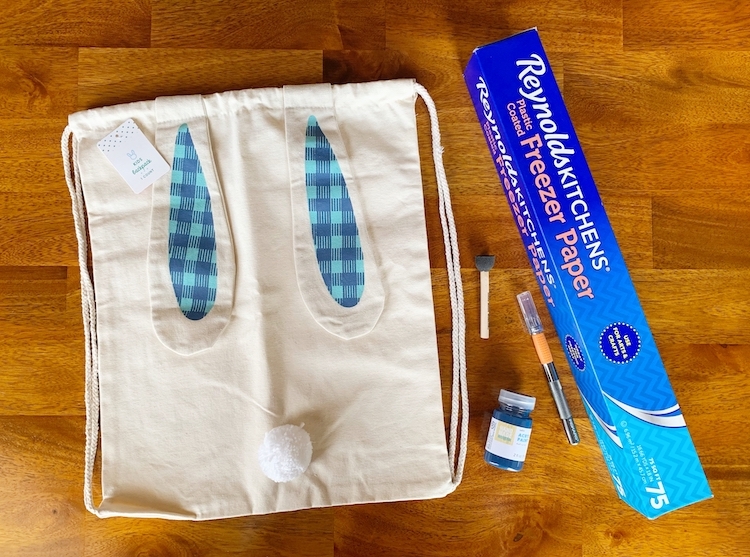 Use an up and down motion to gently add paint to the bag. Don’t use too much paint or spread it around in a side to side motion because that can cause paint to seep under the edge. In case you’re wondering, the color of Hand Made Modern acrylic paint I used is “oxford blue”. It matches the blue on the bunny ears really well. When it is dry, peel the freezer paper off the canvas bag. 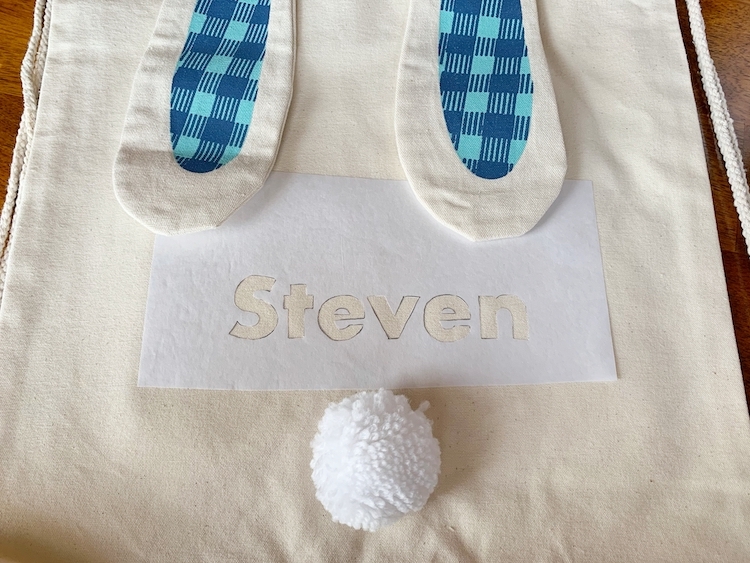 I’m always amazed with how crisp freezer paper stencils turn out. 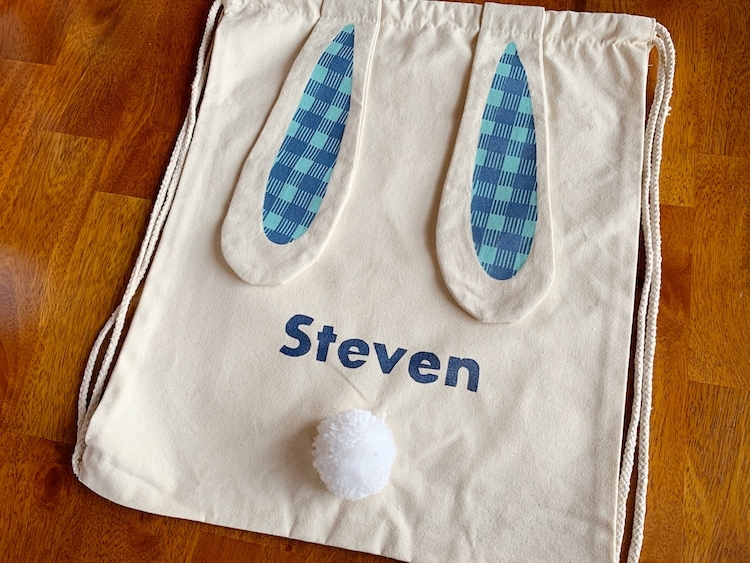 The roll of freezer paper is huge so you could personalize as many bags as you need without running out. 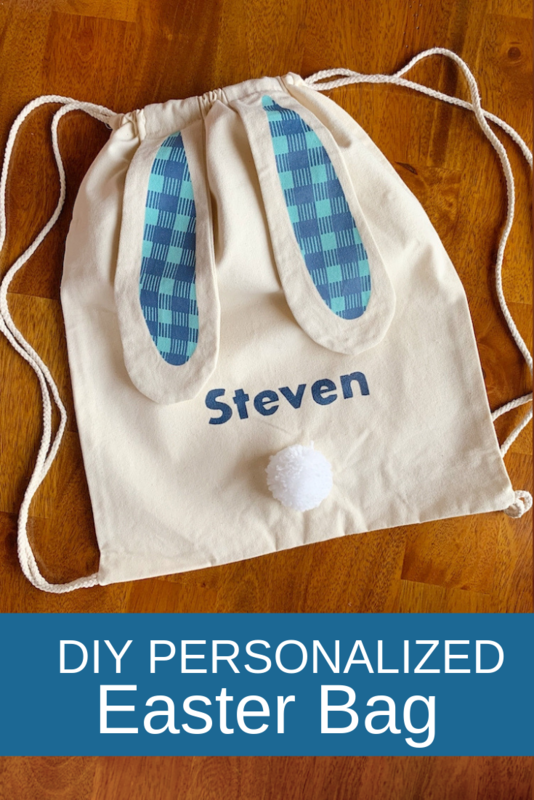 It’s a great alternative to an Easter basket, especially for older kids. Think of all the fun treats you could fill it with! What kind of goodies do your kids usually wake up to on Easter?